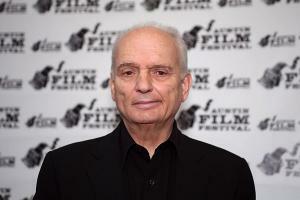 David Chase was born on the 22nd August 1945, in Mount Vernon, New York State USA, and is a film and television producer, screenwriter and director best known to the world for creating the cult TV series “The Sopranos”, aired on HBO from 1999 until 2007. David has been an active member of the entertainment industry since the mid- 1970s. Have you ever wondered how rich David Chase is, as of late 2016? According to authoritative sources, it has been estimated that David`s net worth is as high as $80 million, an amount earned through his successful career in the entertainment industry. David is of Italian ancestry, since his parents were Italian Americans who were form a working class group of families. David`s childhood was tough, as his parents were hard on him; his father was condescending towards David, while his mother was often nervous about little things, and was never satisfied with David. This led to David being depressed, and having panic attacks while in his teens, a problem he deals with even today, but managing to stay calm. Following high school matriculation, he enrolled at Wake Forest University, located in Winston-Salem, North Carolina, but two years later he transferred to New York University, and also attended Stanford University`s School of Film. His first credit in the entertainment industry came in 1971, as the writer of an episode of the TV series “The Bold Ones: The Lawyers”, while in 1972 he wrote the screenplay for the film “Grave of the Vampire”, which was based on his novel “The Still Life”. Through the 1970s he worked on such TV series as “The Magician” (1974), “Kolchak: The Night Stalker” (1974-1975), and “The Rockford Files” (1976-1979), which certainly increased his net worth, but also launched him further into Hollywood. He wrote his first film – “Off the Minnesota Strip” – in 1980, which won him a Primetime Emmy Award in the category Outstanding Writing in a Limited Series or a Special. Two years later, his next film came out – “Moonlight”, which received positive reviews. In 1988 he created his first series on his own “Almost Grown”, which aired for 10 episodes before it was cancelled. Regardless, his net worth was rising. The 1990s were quite productive for him, writing two “The Rockford Files”, films “Godfather Knows Best” and “Punishment and Crime”, both in 1996, while in 1999 his “The Sopranos” began airing. The show had 86 episodes in total, and was aired until 2007. For quite some time the show was David`s only engagement, however, after the end he returned to writing, and in 2012 out came his debut feature film “Not Fade Away”, on which he worked as a writer, director and producer as well, which increased his net worth by a large margin. Currently, David is concentrated on developing a TV Mini-Series – “A Ribbon of Dreams”, which will be aired on HBO, however, the series is still in the process of writing. Thanks to his skills, David has received several prestigious awards, including six Primetime Emmy Awards, four for “The Sopranos”, one for “The Rockford Files”. Furthermore, he received Writers Guild of America Award, also for “The Sopranos”, while he has four PGA Awards too, including the Lifetime Achievement award. When it comes to his personal life, David has been married to his high school sweetheart Denise Kelly since 1968; the couple has one child together, actress Michele DeCesare.